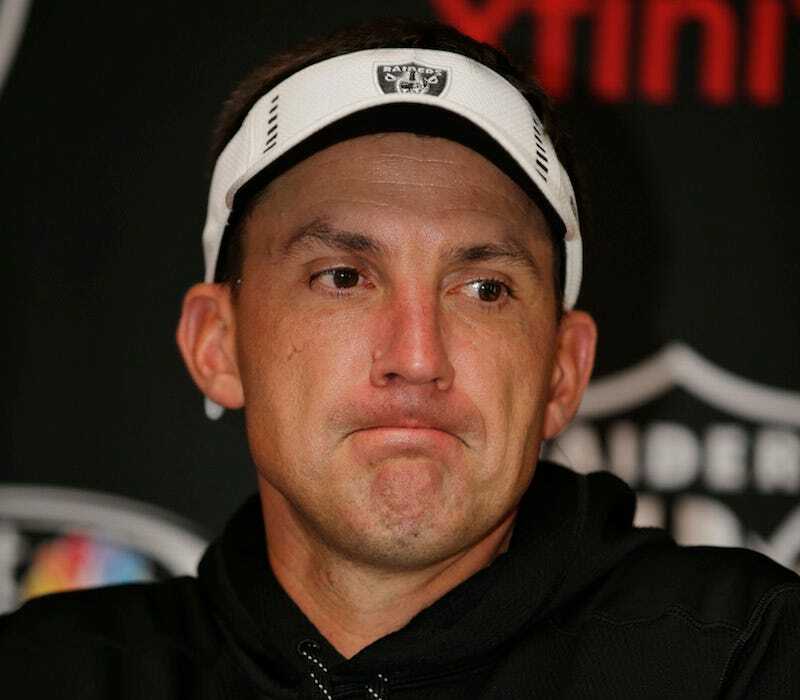 Earlier tonight, AP reporter Terry Collins tweeted that Raiders head coach Dennis Allen had been fired after a 38-14 loss to the Dolphins in London. After the tweet traveled around, Collins deleted it. Shortly after that, he apologized for his unconfirmed report. So, Allen survives, for now. Update (10:23 p.m.): And now the tweet's deleted. OK.
Update #3 (11:30 p.m.): This denial is getting weird.